Latex Jungle Animal Print Balloons. Create a jungle theme with these 11 latex balloons! 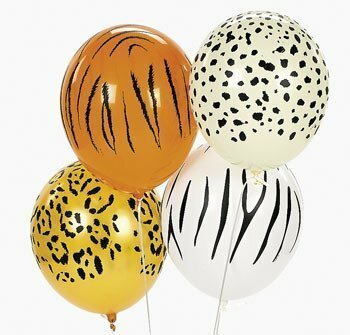 Fill these animal print balloons with helium and take them with you on your next trip to the zoo. (50 pcs. per unit) Ribbon not included. If you have any questions about this product by 5Star-TD, contact us by completing and submitting the form below. If you are looking for a specif part number, please include it with your message.